It is entirely appropriate that the Centenary year of the Royal Air Force (RAF) also falls on the Centenary of the end of the First World War. Indeed it was the events towards the end of WW1 that led to the creation of the RAF one hundred years ago. In the summer of 1917, German Gotha bombers appeared over London with relative ease. The Prime Minister appointed Lieutenant General Jan Christian Smuts to investigate and Smuts quickly recommended the amalgamation of the existing Army and Navy air arms to form a separate Air Force with its own staff. Brought into formal existence on 1st April 1918, the Royal Air Force began life as the world’s first and premier Air Force and it has been at the forefront of military aviation from that day to this. In its first week, RAF aircraft played a leading role in stemming the German offensive and provided crucial support to the Army and its allies as the Germans were driven back to the Rhine and the war was brought to a triumphant close later that year. At the start of the war in 1914 the Royal Flying Corps had 84 aircraft and the Royal Navy Air Service had 71 aircraft. By the war’s end in November 1918, the RAF had more than 22,000 aircraft. In July 1940, Adolf Hitler planned an invasion of Britain by ordering his powerful air force (the Luftwaffe) to destroy British ports along the coast. During the next 3 months of The Battle of Britain, the outnumbered RAF resisted the massive German air invasion, relying on the world’s first air defence system, integrating radar, telecommunications and radio. For every British plane shot down, two Luftwaffe war planes were destroyed and in October 1940, Hitler delayed the German invasion indefinitely. St Clement Danes Church in The Strand was almost destroyed by German bombs during the London Blitz on 10th May 1941. The outer walls, tower and steeple survived the bombing but the interior was gutted by fire and the 10 bells fell to the ground. Subsequently they were put into storage and recast after the war. Following an appeal for funds from the Royal Air Force, the church was completely restored and re-opened in 1958 to become the Central Church of the Royal Air Force. 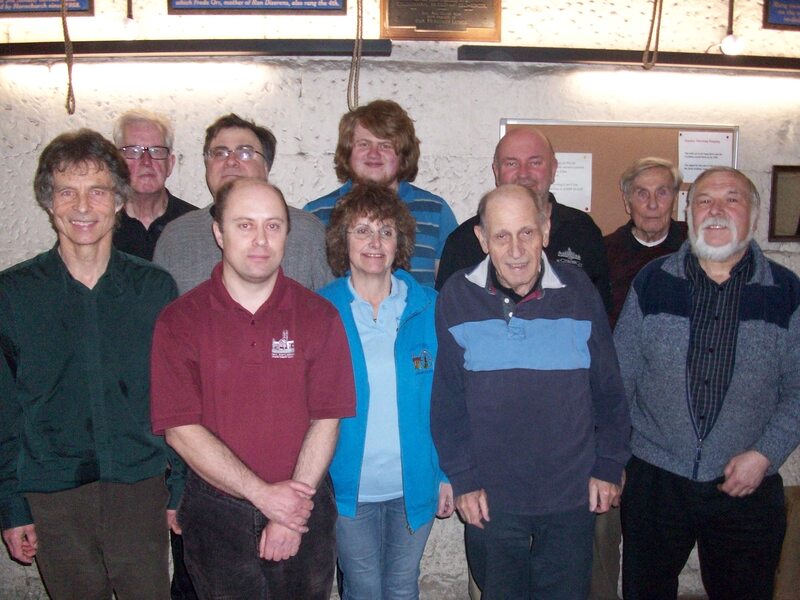 With the restoration of the bells in 1958 came the need for visiting bell ringers to ring for Sunday services. Under the leadership of Frank Gant, Hornchurch started to provide bell ringers for Sunday service ringing once a month, a tradition that has continued from 1958 to this day. 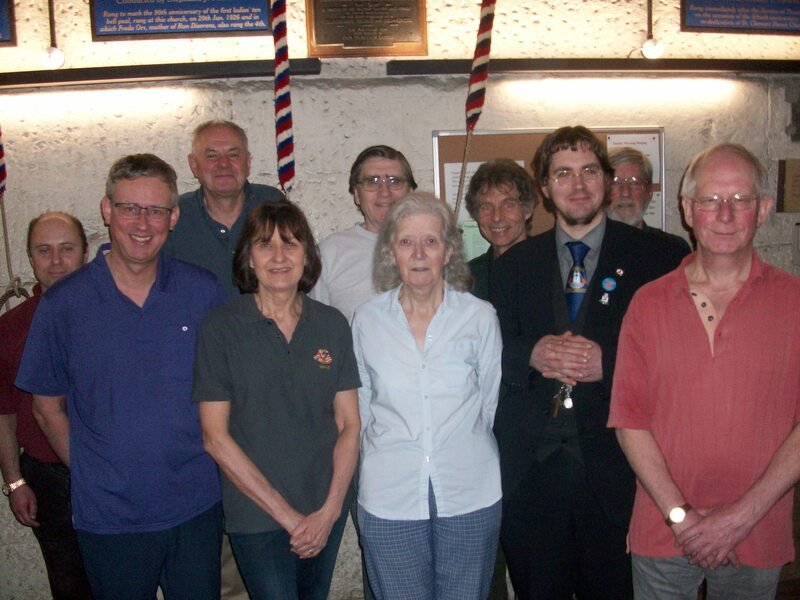 It was therefore fitting that the Hornchurch bell ringers organised the ringing before and after the service on 1st April 2018 to commemorate the 100th Anniversary of the formation of the RAF. Coincidently, this was also the 60th Anniversary of the restoration of the church in 1958. Both rung to Commemorate the 100th Anniversary of the Formation of the Royal Air Force. Also to celebrate the 60th Anniversary of the restoration of St Clement Danes Church, funded by the RAF.